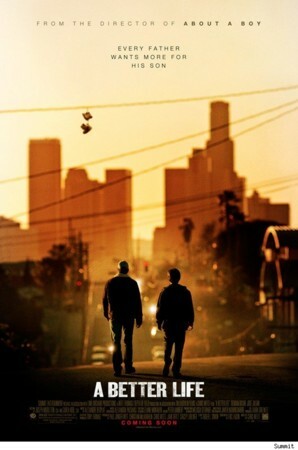 Brief Synopsis – A working class Mexican man does all he can in LA in order to make a better life for himself and his son. My Take on it – This is a film that I somehow missed and I am so happy that I finally came across it. This is an amazing character study of a father who will do all he can in order to make a better life for his teenage son. He is living in a bad situation yet constantly clings to the hope and aspirations that things will eventually get better for them if they remain straight in their ways. Loved the way that they reveal information about their lives slowly and we absorb the information little by little. Demián Bichir is amazing in the lead role and he was quite deserving of getting both a SAG and Oscar nomination for Best Actor for this role. The story itself moves along at a great pace and it doesn’t take long for us to get caught up in everything that is going on while still caring about everything that happens to the characters along their quest. This film is now on my top ten list for 2011 and I plan to hopefully see this again in the near future. Bottom Line – Such a great film because of the way that it gives us a really interesting character study on a person living n a bad situation but still has hopes and aspirations of things getting better. Bichir is amazing in the lead role and it really is no wonder that his performance was able to garner him both a SAG and an Oscar nomination for Best Actor that year. The story moves along at a great pace and we get so caught up in the story that it’s so hard not to care for the characters and what happens to them along their journey. Highly Recommended!